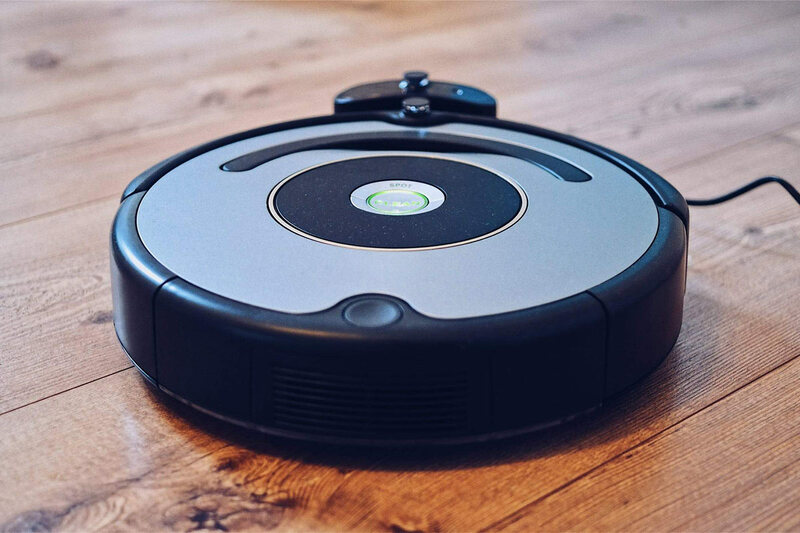 Are you looking for the perfect robotic vacuum to clean up all that pet hair covering your floors while you sit back and relax with a hot cup of coffee? Then you need to read this. Pets can cause quite a mess by shedding their hair all over your home. You have to keep constantly vacuuming to keep the mess from building up, but often you just don’t have the time with all the stuff that is going on in your life. A robotic vacuum is one of those appliances that many people hesitate getting, but no one ever regrets buying. It makes your life so much easier by taking one of the most hated chores off your hands. You can just order the robot to do the vacuuming and concentrate on more important things yourself. Although the technology used in robotic vacuums has made huge advancements in the last couple of years, not all robotic vacuums are up for the job. Especially if there is a shedding pet or two in the household. With a robotic vacuum, you won’t be able to skip vacuuming entirely. There are spots robovacs can’t reach, and every now and then you will have to do a more thorough cleaning. But a robotic vacuum can undoubtedly take care of upkeep vacuuming and do a large majority of the work. 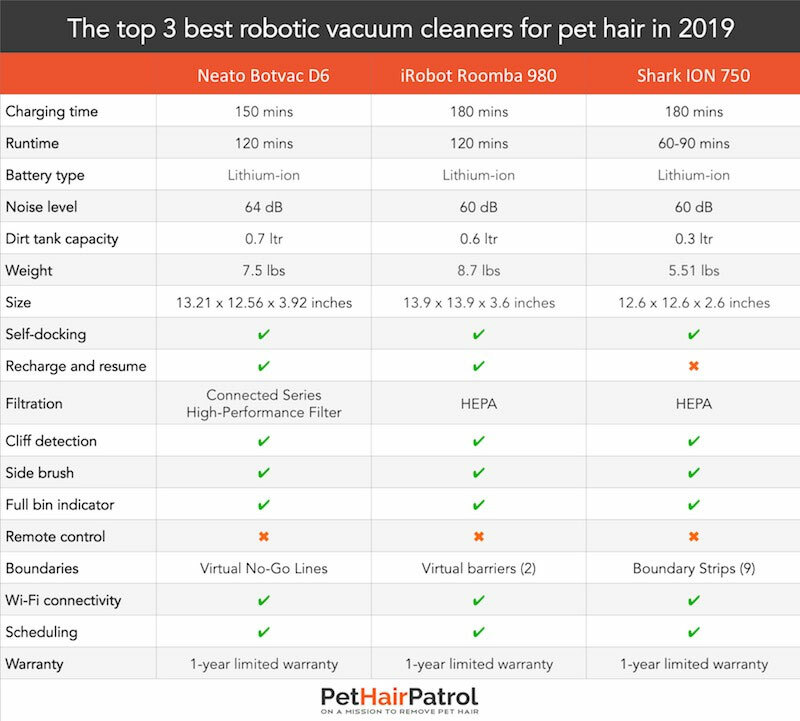 To help you pick the right vacuum, we have compared dozens of robovacs to find the best ones for pet homes. We have set these vacuums side by side in this table so that you can easily compare all three against each other. It will give you an idea on which product might be a good fit for you and your home and help you make a decision. For pictures, detailed reviews, pros and cons you can visit our website PetHairPatrol.com. I’m just hoping that in the near future they will design a robot that takes my dogs out for a walk when it’s raining. Meanwhile, I plan to enjoy lounging on the couch with my dogs watching our robot do the hard work. Matt is the founder of PetHairPatrol. He lives in New York with his two golden retrievers: Ben and Jerry. Once he opened a carton of yogurt, and immediately there was a dog hair inside. That’s when he decided to find the best ways to get rid of pet hair and start a website to share his knowledge. He has researched and reviewed hundreds of products that help you keep your home clean – even when you have furry roomies. He loves running and Italian pizza. He hates pigeons. And obviously, pet hair!